Back for a third year! I hope you're getting ready to start the countdown again with me. I am looking forward to it, as I love to challenge myself with reading. Don't you? As I write this, I've read and reviewed 95 books. I will definitely get my 100 mark this year, though any extra is up in the air still. I feel good about that since I didn't hit 100 in 2014. So I'm up, and hopefully will rise again in 2016! 1. Create a post, but list as you read, either a blog or GoodReads, somewhere I can see it, and leave your url to that post in the Linky below. 2. Read some books. Any books. No limit in pages, even the phone book counts if that is your fancy. Just read! This year there will be no prizes. You are challenging yourself because you want to right? So, the prizes shouldn't make a difference. The best prize is hitting the goal you set for yourself anyway. Each beginning of the month a new Linky for your reviews will be posted. See you there and happy reading! Read 100 books or more in 2016! **No compensation was received for posting. 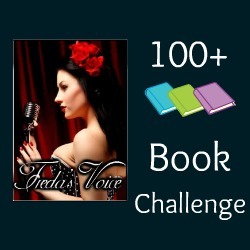 This post is part of a book challenge owned by this site. Opinions are owned by this site. Will be signing up...sounds fun! I'm adding this to my list of challenges that I'm getting ready - need to put that up soon!! Yay! Off to sign up. Prizes are very nice and I enjoyed yours. However it is empty challenges that are a waste of time. Some put up a logo.... and then what? You are WONDERFUL at acknowleding us, visiting our blogs, and reading every one of my reviews. All one-hundred-and-fifty-one!